Karin Weber Gallery presents ‘“Yangon Made My Heart Beat Fast:” New Contemporary Art from Myanmar,’ a show which explores the blossoming of individual expression, creativity, and the emergence of new voices and viewpoints in an evolving Myanmar. 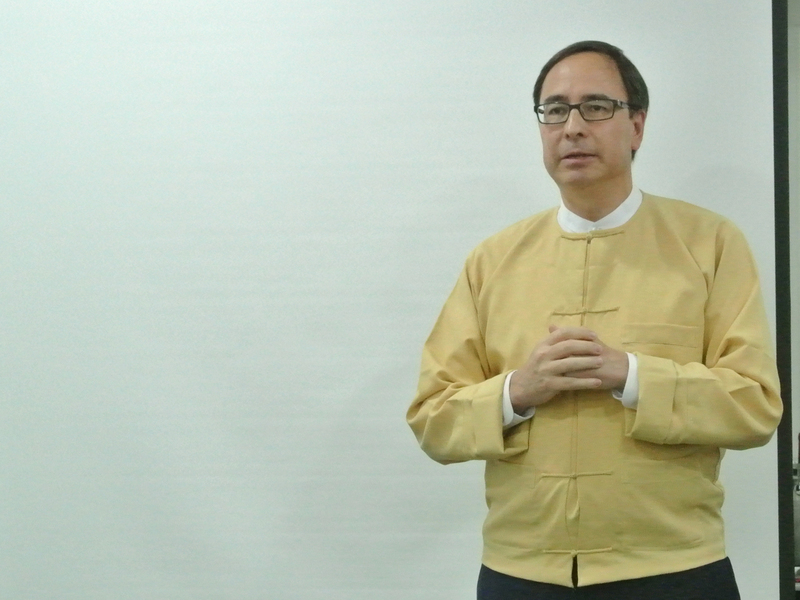 On Saturday, 18 March 2017, the gallery presents ‘Myanmar Discourse,’ a collage of talks and performances, including a conversation with Robert San Pe, who served as senior adviser on legal affairs to Daw Aung San Suu Kyi. His talk “The National League for Democracy (NLD) led Government: Challenges, Achievements and Aspirations” will focus on developments in Myanmar in the aftermath of semi-civilian rule under the ruling party, the NLD. 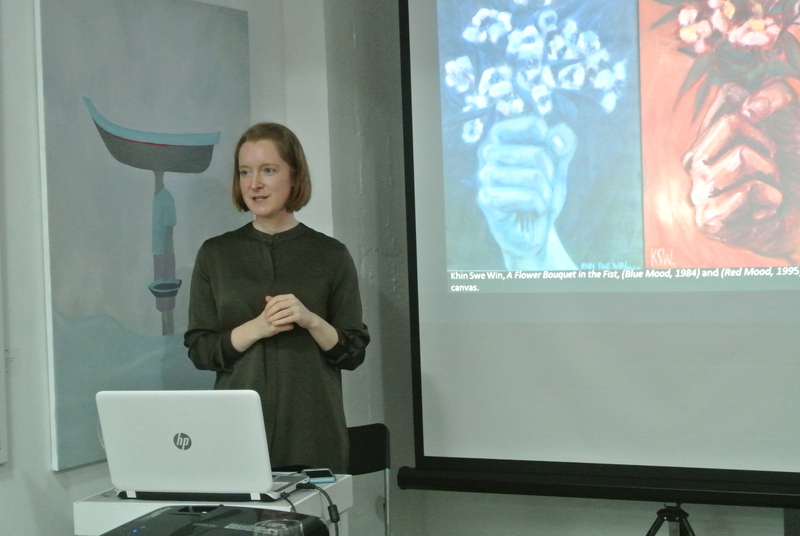 Melissa Carlson, curator of the accompanying art show and a keen Burma observer herself, will review the evolving Myanmar art scene, including the growing role of female artists who are stepping forward with a louder voice. 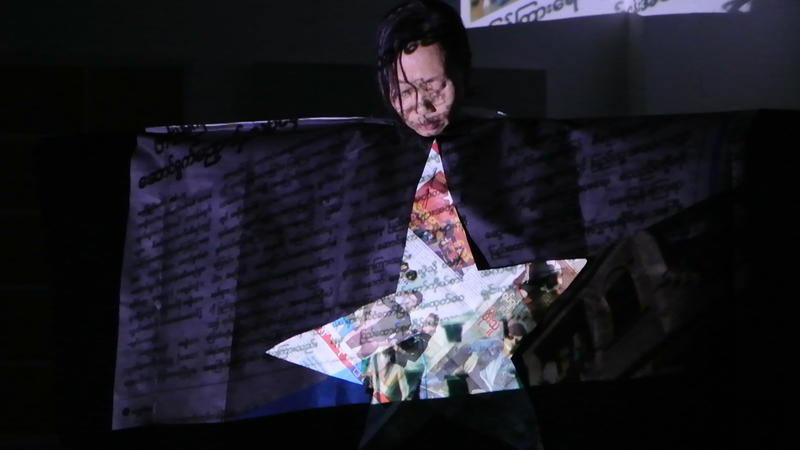 These discussions will be followed by performance art pieces by two of Myanmar’s leading female experimental artists, Khin Thethtar Latt (“Nora“) and Phyu Mon. Phyu Mon is one of the only female performance artists of the older generation who persevered despite severe censorship by both society and the state. 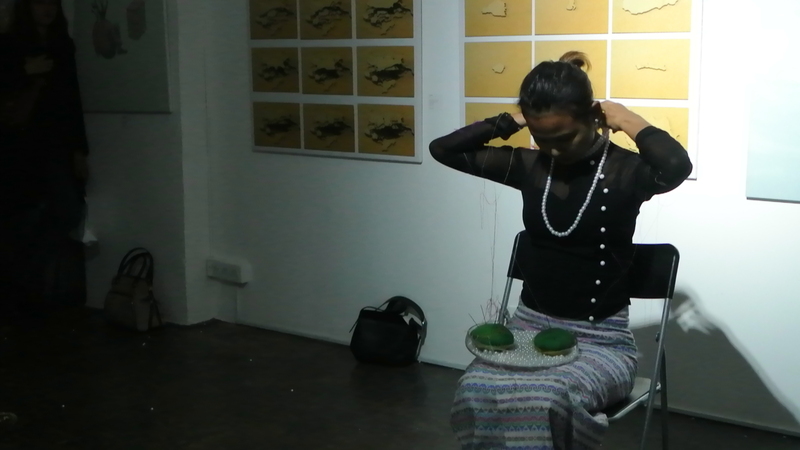 Nora, a rising star on the local Myanmar art scene, is a younger generation artist who is fearless and innovative in her commentary on current Myanmar society. As numbers are strictly limited for this event, RSVP is essential at art@karinwebergallery.com.